Explaining the value of project management software can sometimes be a problem. Using a PM software in your office is a great way to keep everyone in the loop, keep up with your workload and move projects forward. Your team will start seeing improvements as soon as they get used to using it on daily basis. A friend of mine recently told me that she was struggling to get all the team on the same page when discussing project issues. But, let’s be real: with so many tasks at hand, no one has the time nor is willing to read endless email chains. “As a result, we easily get caught up in a vicious cycle of who said what and when. The lack of communication is slowing down the work processes which can be uncomfortable and frustrating especially if there are a lot of changes to the project. Unfortunately, this scenario has become quite common. While trying out a new project management software is a godsend for people who hate emailing, it is also a big burden on those who got used to other mechanisms like chat apps. The last you want to do is push your team members to start using a tool they don’t feel comfortable or safe with. On the other hand, you can’t invest any more of your time into poor communication because it is leading your project to inevitable failure. Persuading your team to start using the project management software doesn't have to be a painful process. What you need to do is show them the true value it would add to the entire organisation. Role-play the app support guy and show them that they can easily organise their tasks and avoid being buried in never-ending to-do lists. 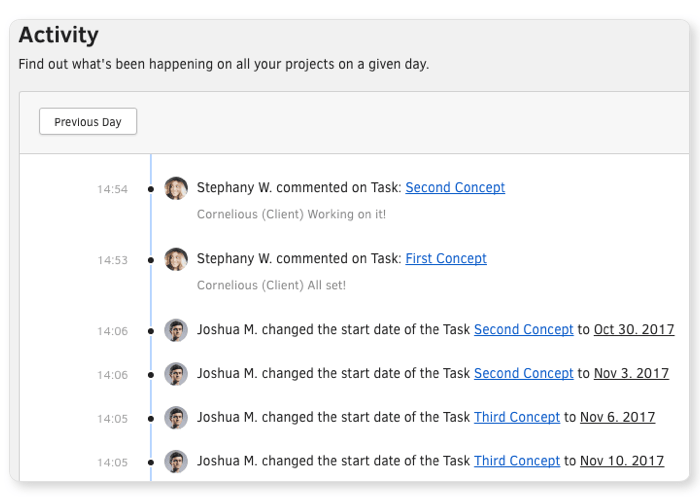 With ActiveCollab, they can have a clear overview of all their tasks and who is doing what in a project at any given time. Go to My Work section where you can easily review all your tasks, updates and comments made by the rest of the team. This should help your team prioritize their tasks more easily and keep track of all their roles and responsibilities across departments. There is nothing more powerful and inspiring than getting your team join their forces and brainstorm some new and creative ideas how to handle issues they come across on daily basis. The last you want is to let those ideas go down the drain. 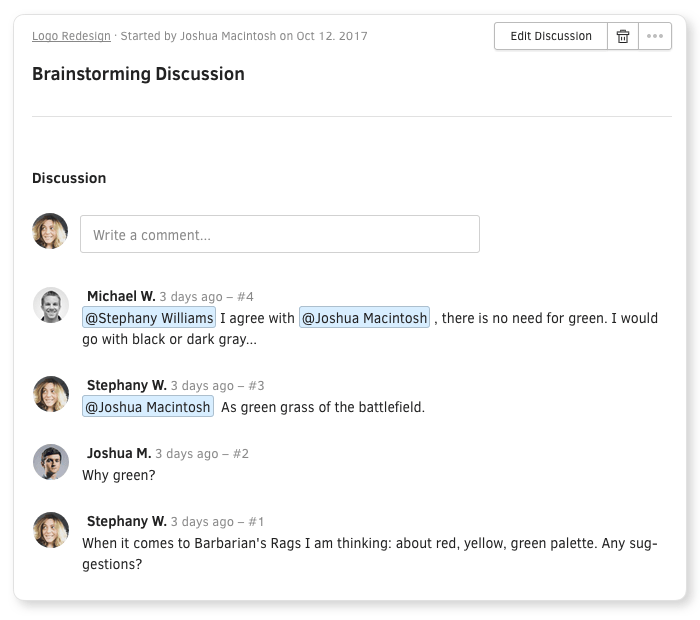 In ActiveCollab, your team can use Discussions to chat, upload files and mention team members they consider relevant for the subject in question. The best part is that all the thread is safe in one place. If you help your team realise that staying up to date with their work they will no longer have to worry about forgetting things or misplacing files and documents, you will surely win them over. 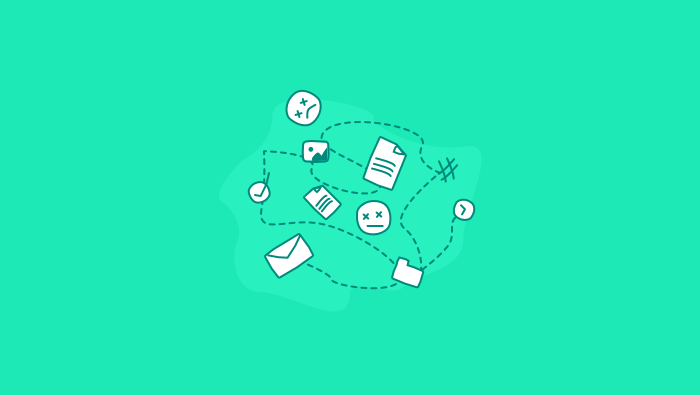 Juggling multiple projects and looming deadlines is a real challenge for every team. 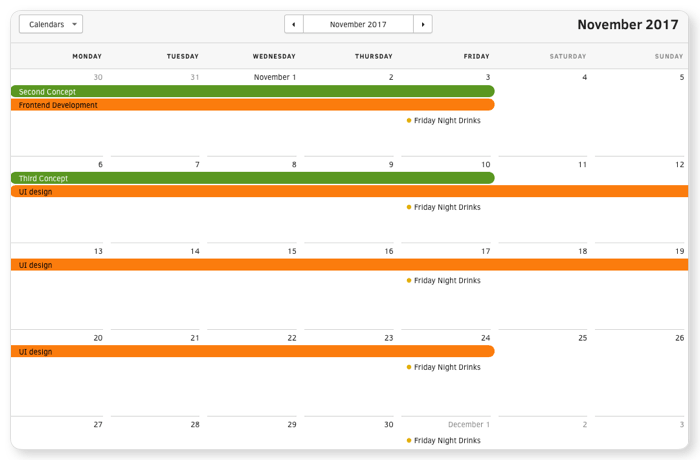 A good way to ensure that you complete all your tasks within specific timelines is to have a Calendar where you can view due dates on all your tasks, see which tasks overlap and create custom calendars. If you explain to your team that by having a precise overview of all the tasks they are working on and have full control of their work, you will give them the peace of mind and enable everyone to drive in their own lane. Handling many things at the same time can cause frustration and put your team under a lot of pressure. 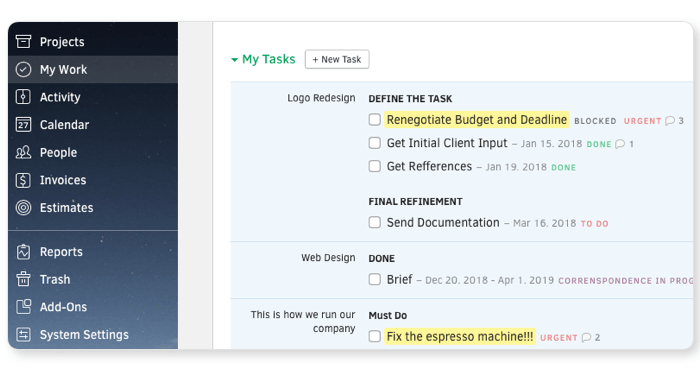 In ActiveCollab, they can see the timeline of all their activity, the history of everything they have been working on, what they have completed and what still needs to be done. 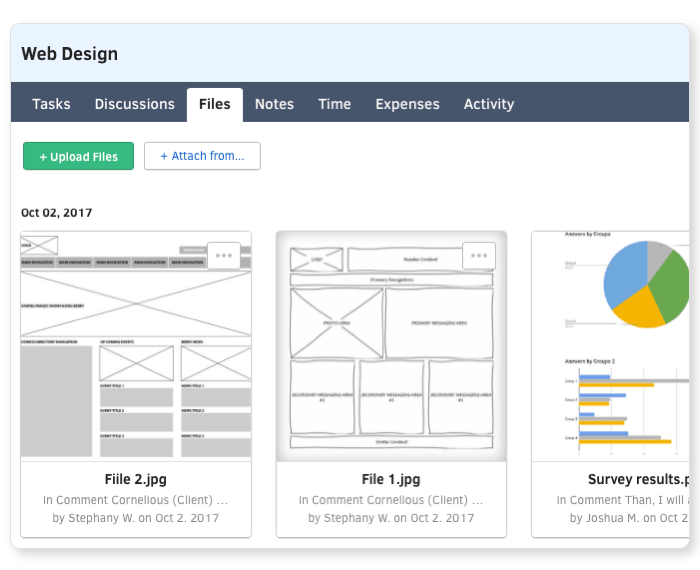 Help your team stay organised by keeping their files in one central place. By pointing out that the file storage will help them reduce their busy work and focus on things that matter, they will be able to keep their progress top of mind without breaking the flow. Finally, keep in mind that old habits die hard and that not everyone on the team will be delighted with trying out the new app. You need to give them enough time and space to get accustomed to it and figure out the way they can bring it to their advantage. Also, be there for them and guide them every time they need help during the onboarding process. After all, Building a team culture isn’t all about providing good equipment and helping people bond with each other. It’s also about streamlining the processes as much as possible so that the team can focus their efforts on real work and build creative environments where ideas can thrive. By choosing the right tools like ActiveCollab you will save a lot of time, cut the costs and inspire a new balance for your team in the long run.